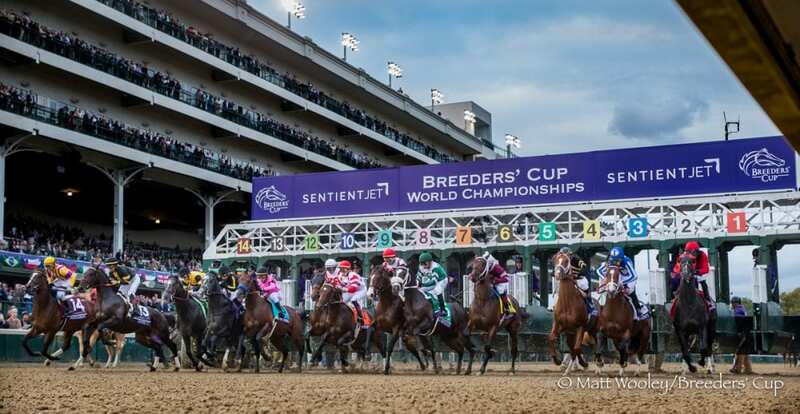 One of the strangest stories to come out of the weekend's Breeders' Cup World Championships at Churchill Downs was that of Georgetown man Michael Wells-Rody's Saturday adventure. According to the Lexington Herald-Leader, the 24-year-old's arrest citation stated that he “was manifestly under the influence of alcoholic beverages” when he “snuck into a restricted area he was not authorized to be in” and took off on a (lead pony) horse. Kentucky State Police said that Wells-Rody made it from the tunnel beneath the grandstand almost out to the racetrack area. He was charged with public intoxication and disorderly conduct. Read more at the Lexington Herald-Leader. This entry was posted in NL List, The Biz and tagged alcohol, arrest, arrested, Breeders' Cup, Breeders' Cup World Championships, churchill, churchill downs, disorderly conduct, lead pony, michael wells-rody, public intoxication by Paulick Report Staff. Bookmark the permalink.